Item # 308805 Stash Points: 9,495 (?) This is the number of points you get in The Zumiez Stash for purchasing this item. Stash points are redeemable for exclusive rewards only available to Zumiez Stash members. To redeem your points check out the rewards catalog on thestash.zumiez.com. 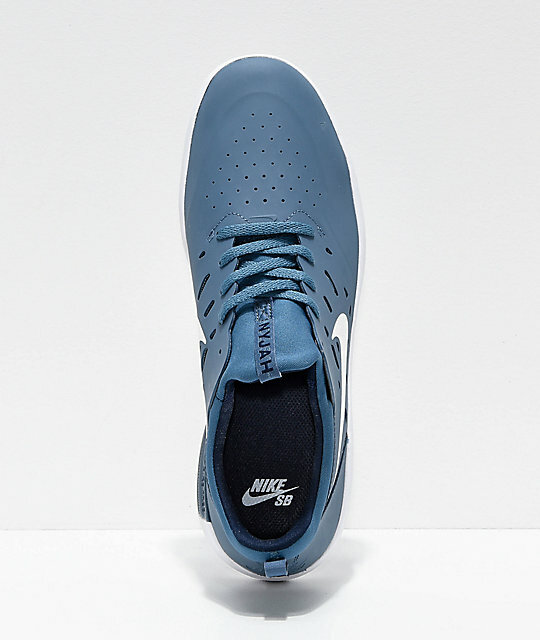 Meticulously designed and rooted in one of Nyjah Huston's favorite Nike shoes, the Air Presto sneaker, Nike SB presents the Nyjah Free Thunderstorm Blue and White Skate Shoes. 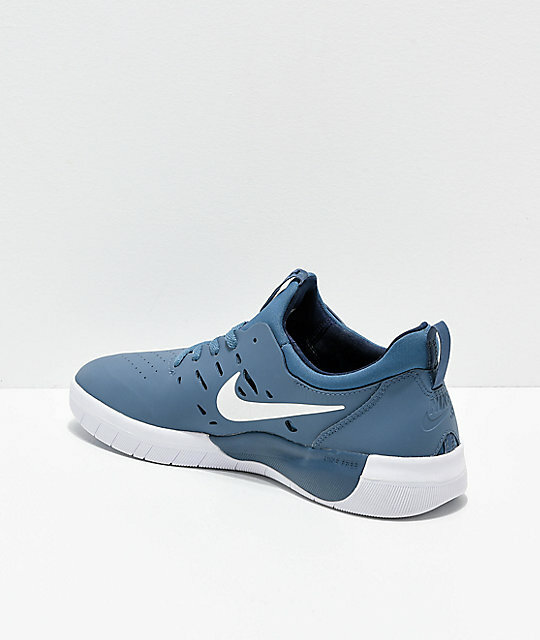 Embodying a sleek runner-like silhouette that has been trimmed down for simplicity, Nyjah's pro models are composed of a newly tested rubber skin that acts much like an abrasion resistant exoskeleton that remains flexible and supportive through a hidden internal Nike Flywire construction. Durable, impact supportive, and overall athletic, the Nyjah Frees are the answer to skating every damn day. 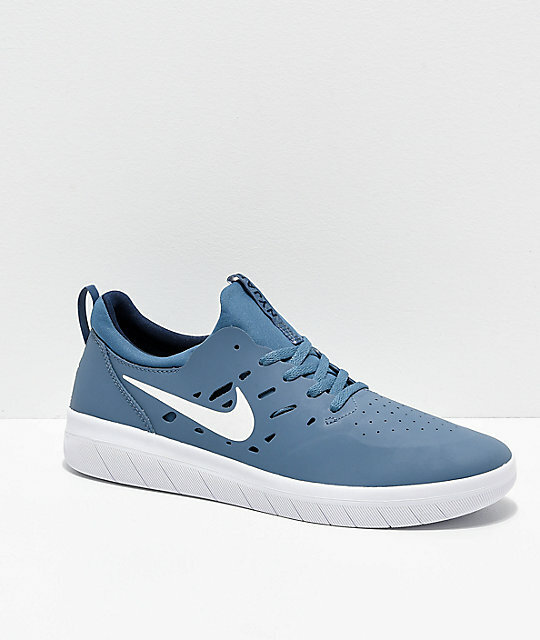 Nyjah Free Thunderstorm Blue and White Skate Shoes from Nike SB. Signature Nyjah Huston pro model. 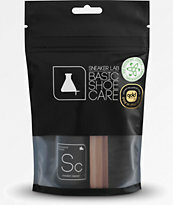 Durable sandblasted rubber upper, offering nubuck feel. Woven heel tab for easy on and off access. 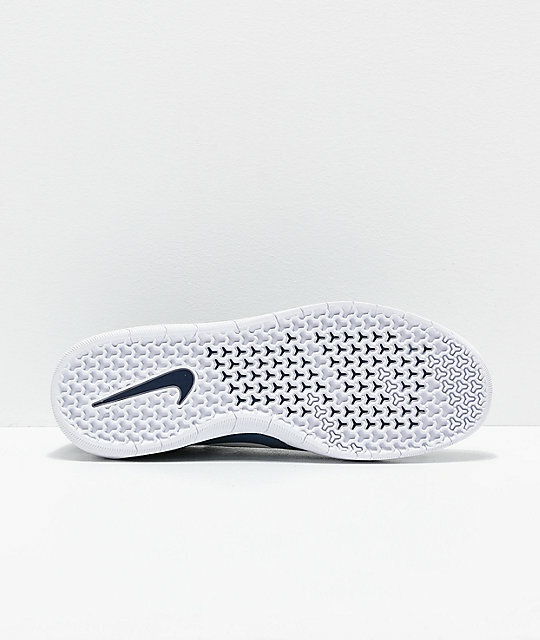 Nike SB mesh lined foam insole infused with OrthoLite technology. Nike SB's Tristar midsole for impact support. Nike SB's Tristar outsole offering flex and grip. Nike SB logo details throughout. Width: Narrow at forefoot, otherwise fits as expected. Internal one piece neoprene bootie construction for sock-like fit. Internal hidden Nike Flywire Technology beneath upper for form-fitting and support.